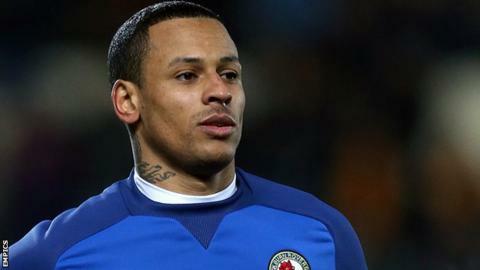 Blackburn manager Gary Bowyer has confirmed striker DJ Campbell is back in training and available for selection against Yeovil Town on Saturday. Campbell, 32, was one of six people questioned - and bailed until April 2014 - as part of a National Crime Agency investigation into spot-fixing. He was from the Championship club following his arrest. Bowyer told BBC Radio Lancashire: "He came back in training on Tuesday and he's trained with us on Tuesday and Thursday. "He's a normal squad player now, so he's available for selection. We just have to keep monitoring how he is." Asked if he had would have any concerns about selecting him in his matchday squad, Bowyer answered: "No. We'll judge him as every other player." Campbell, who had a loan spell at Blackburn last season, has failed to score in any of his five appearances since rejoining them in the summer following his release by QPR.